Here it is; my second recipe in the ‘Frugal does Mexican’ series, the name by which it is henceforth to be known. This recipe was a request made by Sarah C., the girlfriend of Katherine’s older brother, Tom. Sarah and Tom were the two who coerced us into visiting Wahaca in the first place, though I’m glad they did so. As I have already mentioned in my previous recipe for guacamole, the food at Wahaca was of a most agreeable quality indeed and their refried beans weren’t to be faulted. Though, I have since learnt that their claim that refried beans are cooked twice for flavour is a little erroneous. You see, as I understand it, ‘refried’ is a mistranslation of ‘refritos’ which simply means well-cooked. Indeed, one needn’t fry them at all, for something similar can be produced by baking. Tex-mex cuisine ought really to see a doctor regarding its misnomers. Isn’t research such a beautiful thing? Before this post I was under the impression that refried beans were cooked twice and contained black beans. However, it appears that I was wrong on both counts (shock did ensue). The first has already been done away with and the second is only a partial truth; refried beans are traditionally composed of pinto beans. Gladly, the second consideration accounts rather well for the fact that this version of the Mexican classic is a little lighter in colour than others I have tried. Sarah’s request has but one condition; that the refried beans should be very smooth. Indeed, most recipes seem to call for such a characteristic to be achieved. Luckily mashed beans, when mixed with water or stock, tend to lean towards the smooth side of the gastronomic spectrum. As such, this particular version is most certainly a wondrous experience for one’s mouth. I’m sure you’ll enjoy eating them just as much as we did – they were a joy. N.B. I hope you’ve all noticed that frugalfeeding has now become a ‘.com’ website. It really was about time that we banished the dreaded ‘.wordpress’ suffix and forged ahead in a slightly more lonely manner. Besides, it does look an awful lot more professional. 1. Soak the beans in water overnight. Pop them in a saucepan and cover with water. Boil for 10 minutes and then simmer for 30-40, until tender. 2. Mash the beans until relatively smooth. Heat some oil in a frying pan or skillet, fry the onion for 5 minutes until translucent. Add the mashed beans and season. Pour in some reserved ‘bean juice’ or vegetable/chicken stock, keep adding until they have the viscosity of thick double cream. Serve as a dip or in tortillas. 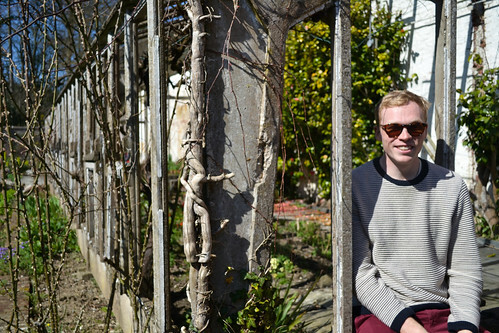 Cost: Let’s not beat around the proverbial bush. Dried beans are cheap and they make up roughly 95% of this dish, though I’ve not done any specific maths to back up such a claim. In all, these erroneous beans should set one back no more than about 30p. Fabulous flaunting of the skillet again, however I have to say that true, authentic refried beans have an appalling amount of fat, butter or bacon fat, in them and that accounts for the creamy rich texture of the Mexican beans. Yours are, of course, healthier. Haha – I can’t help it. Mine are healthier, but they are VERY creamy indeed. To be honest, I doubt whether proper Mexican refried beans contain butter or bacon fat- but I couldn’t say for sure. Oh frugal, welcome to the love that is Mexican food. I can’t stop cracking up about the name of the Mexican restaurant you frequent. Next time you are there you need to ask if the name is an ‘intentional sounding out’ of the city of Oaxaca in Mexico (where Nacho Libre was filmed). It’s good Mexican food has finally “made it” over there. When I lived in Australia 15 years ago I had to hand-make my own tortillas, refried beans and so forth, they just weren’t available. Anyone that ate my food ended up spending a lot of time in the bathroom afterwards because they weren’t used to the heat in the chilies or the fiber in the beans. Hee Hee. The only “Mexican Restaurant” I knew of that was around was “Taco Time” of course, that’s fast food and disgusting. No wonder it closed down within 6 months. Fast forward to our visit last summer and its easier to find Mexican foods in the grocery store and there are a few good restaurants. Woot Woot! Haha – it must be. I don’t know if I’ll go again, but if I do I shall remember – just for you. To be fair, it’s best to hand make them :). I try whenever possible. I shall perfect an repost my tortilla recipe. I can’t get enough fibre :). 🙂 Can’t wait for the frugal take on the tortilla recipe. Hand made really is so much better than store bought. I’ll be honest, I’ve never really had much opportunity to try refried beans. No one I know has ever seemed particularly keen on them so I’ve never had them happily thrown in my path but I feel pretty inspired now! I’m liking your Mexican series! Good job on finally getting going on looking “more pro”. Oh you must, Juls! They are so nice. Thanks, I just need a new theme now! I shall have one in a couple of months, I’m sure. Yum! That sounds really good. I think this recipe would work great with black beans as well! Thanks! Oh yes, it would but I already had pinto beans and I do like a little tradition. Delicious, and my son’s favourite, actually. Thanks for the recipe! Awesome, Celia! I’m glad you like it. They really are! I’d rather avoid the bacon grease to be honest – though I might do a version with bacon in it. Bacon grease sort of destroys their vegetarian nature and oil seems to work rather well. Congrats on the “.com” status! 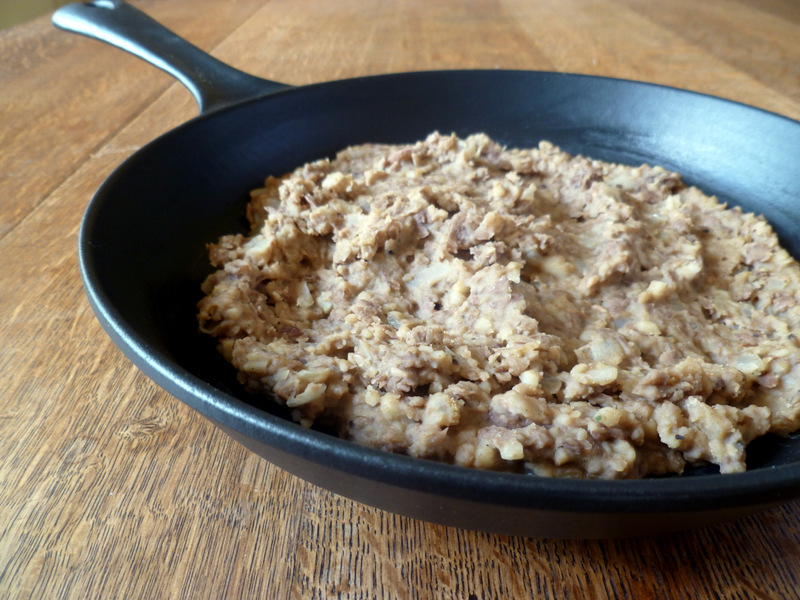 I love refried beans – my Mexican grandma makes them best! 🙂 I need to watch her make those and take copious notes. Thanks for sharing! Goodness! Shocking to a californian to realize that not everyone in the world has mexican food on a weekly basis at home and lives down the street from three different taquerias… haha, glad you have made refried beans! congrats on the dot com!! Haha, nope we don’t :D. Not a Mexican restaurant in sight where I live. Thanks! yum! those look great! thanks for sharing! 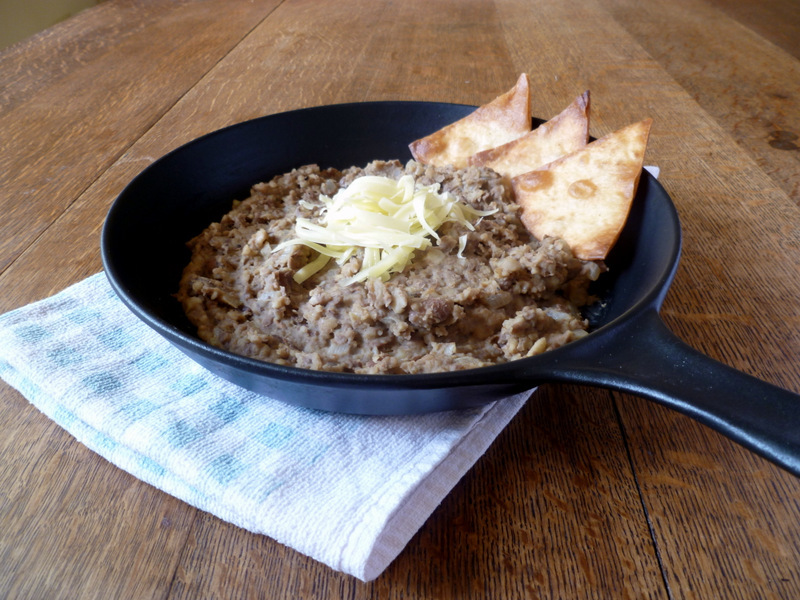 Big fan of refried beans – these look great! Thanks, Willow! Do it! Yes, the change was awfully simple – so glad I did it this way. 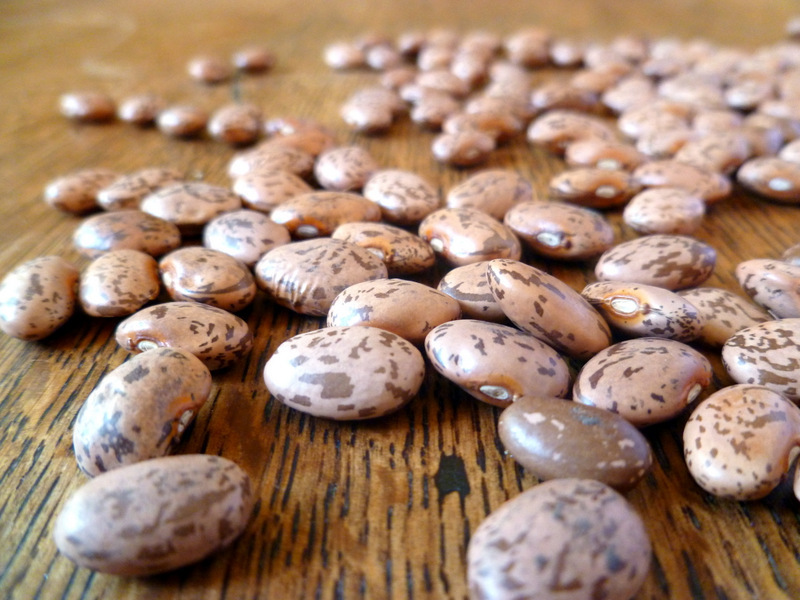 I love your dedication to beans Frugal…they are too delicious done this way and are the cheapest easiest protein out there (IMHO of course! )….still haven’t bought my cast iron pan…..I WILL! This looks perfect! Exactly – I adore beans so much. Get one! Now! Orders! Now! Oh my I used to have make these by the sack load when I worked in a Mexican restaurant as a student – loved them but not eaten them since! 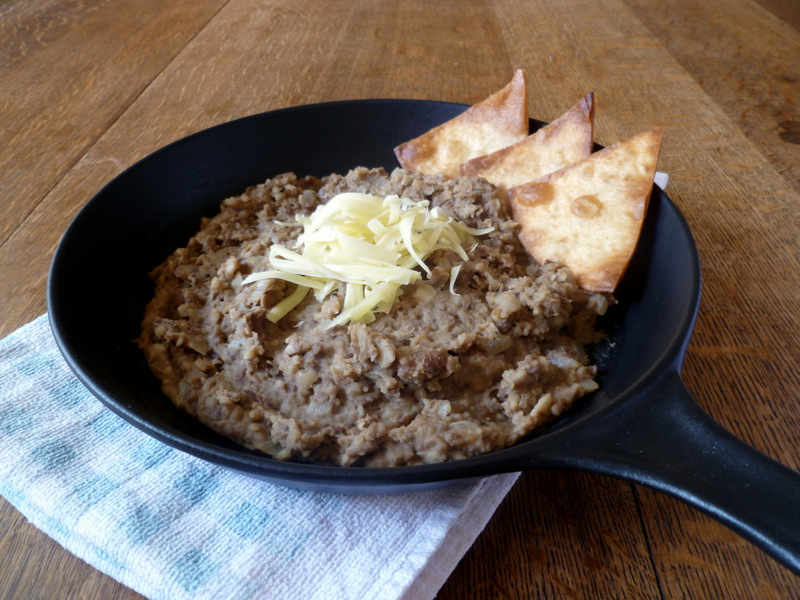 The name refried beans confuses a lot of people, so don’t even worry about it. Chalk it up to silly Americans and our bad translations. Great recipe. Now, just serve it with some rice (and some tacos) and you’ll be all set! Haha – I don’t. Silly Americans! I wouldn’t have it with rice personally, but tacos… yes! I love that you’re doing homemade Mexican in England! When I lived there I freaked out over the pretend Mexican food served at “restaurants”. Authentic Mexican food is unbeatable! Thanks, April! I agree, though there is quite a lot of good Mexican food around now.